In many parts of the country, winter is fast approaching. While the coldest days in most states are December and January, November brings sub-freezing temperatures in dozens of US states. Freezing weather isn’t great for vehicles, of course. If they aren’t properly maintained, fluids can freeze, tires can go flat and batteries can go dead. All of that salt on the road doesn’t help the condition of the vehicle’s body, either. All of these problems are on top of the maintenance issues that vehicles can have during any time of the year. When vehicles do face challenges during the winter, it’s far more dangerous for drivers. 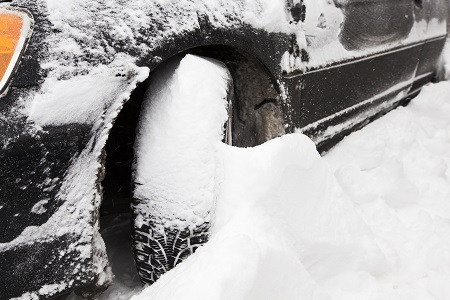 If vehicles stall during a snowstorm, it can take far longer for roadside assistance to get to them. The temperature will drop quickly once the engine is turned off, and visibility may be impaired due to snow. As a shop manager, you already know all of these things, but your customers might not think about them. Reminding them is not only an opportunity to increase your maintenance business, but also an opportunity to keep them safe. After all, many of the things you’d likely recommend as a seasoned technician won’t lead to sales for your shop – such as keeping blankets, an emergency kit, and snacks and drinks in the vehicle. There’s nothing wrong with offering a winterization coupon to attract maintenance customers. But reaching out to your customers with information that’s mostly educational can also lead to sales. In addition, it will lead to your customers’ appreciation as you show that you care more about their well-being than you do about their money. A reference to a vehicle winterization special in the article may be all it takes to generate some phone calls to your shop! To learn how Repair Shop Websites can help bring more customers to your shop, call us at 866-665-1605 or email us at Team_RSW@RepairShopWebsites.com.